Masteron is the trade name for the anabolic steroid Drostanolone. Materon is an injectable oil-based anabolic steroid, and is derived from Dihydrotestosterone (DHT), which makes Masteron a member of the DHT-derived family of anabolic steroid derivatives and analogues. Essentially, all anabolic steroid analogues and derivatives are all modifications in one way or another of the three primary anabolic steroids naturally found in all humans: Testosterone, Dihydrotestosterone, and Nandrolone. 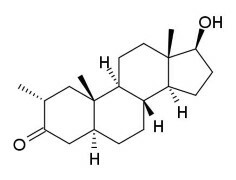 In this case, Masteron’s progenitor (or parent) hormone is Dihydrotestosterone. Other anabolic steroids that belong in this family of DHT-derivatives include: Anavar, Winstrol, Anadrol, Primobolan, and various others. Masteron is not regarded as a very strong anabolic steroid but neither is it a weak one. 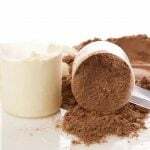 Its anabolic strength is generally regarded as moderate at best (anabolic rating of 62 – 130), while its androgenic strength is fairly low (25 – 40). 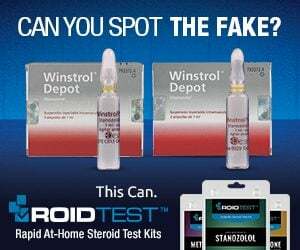 This demonstrates a stark difference when compared to Testosterone, which is the number one natural and original anabolic steroid, and is used as the reference measuring bar by which all other anabolic steroids are compared to and measured against. Testosterone in comparison holds an anabolic and androgenic strength rating of 100 for both respectively. Masteron’s details (as Drostanolone) were first released and published in 1959. The origins of this compound are quite interesting, as Syntex had synthesized and developed this anabolic steroid. Syntex was also known for the development of other popular anabolic steroids as well, such as Anadrol and Methyldrostanolone (AKA Superdrol). It would not be until about 10 years later after the publishing of its details that Masteron would finally be released onto the market. Lilly and Syntex had worked together in the development and marketing of different pharmaceuticals, and both companies had an agreement that both entities would share research and development (R&D) resources and costs with the trade-off that one of the companies would obtain the rights to the drug. 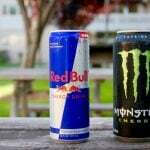 It was Lilly that ended up marketing Masteron under the brand name known as Drolban on the American market. Syntex also marketed this anabolic steroid, only they would look after its marketing and distribution on the international market instead. Masteron was approved by the FDA at first as an antineoplastic agent in the treatment of female breast cancer patients. Masteron in particular fit very well into this role, as its lower and weaker androgenic strength rating in comparison to Testosterone could prove to be very beneficial in female users, as the incidence of virilization symptoms would be less prominent with Masteron than many other anabolic steroids which are known to possess strong androgenic strength ratings. Even the prescription information and guidelines expounded this fact, stating that there is far less of a probability of developing virilization with Masteron in comparison to equal Testosterone Propionate doses. However, the problem here was that the initial prescription guidelines for females was that of 300mg weekly of Masteron, which evidently proved to be too high of a dose for females as evidenced by the fact that virilization did occur in many patients at that dose. Virilization had also become an issue in female patients that had been administered Masteron in the long term. Masteron’s popularity with bodybuilders and athletes did not begin until the 1970s and increased into the 1980s. As more effective breast cancer treatments were discovered and developed, Masteron began to lose its value in the medical field, and many different pharmaceutical manufacturers began to slowly discontinue sale and production of this compound during this time. Drolban itself was officially pulled from the American market in the late 1980s, and two other branded Masteron preparations were soon after pulled from the market as well. Masteron today still remains on the list of approved medications, but it is not currently being manufactured, and therefore not being sold on American (or any Western) markets. The specific name for Masteron is actually Dromostanolone (Drostanolone was a slightly more abbreviated name given to the compound shortly after its release). As mentioned previously, it is a modified derivative of DHT (Dihydrotestosterone), placing it into the family of DHT-derivatives and analogues. Masteron is a modified form of DHT, where a methyl group at the 2nd carbon (known as carbon alpha) atom. This modification is what is known to be responsible for the slight anabolic strength increase in comparison to Testosterone. This methyl group addition increases the anabolic strength by way of granting Masteron an increased resistance to being metabolized into inactive metabolites by the enzyme 3-hydroxysteroid dehydrogenase. This enzyme is present in large quantities in muscle tissue, and is the enzyme that serves to metabolize any DHT that enters muscle tissue into two inactive metabolites: 3-Alpha Androstanediol and 3-Beta Androstanediol that are non-anabolic what so ever in muscle tissue. This is therefore the reason as to why DHT is not anabolic in muscle tissue at all, and many chemists and biologists believe that if the enzyme 3-hydroxysteroid dehydrogenase did not exist in muscle tissue, that DHT would actually be a very potent and powerful anabolic steroid. In any case, Masteron’s methyl group addition to alpha carbon 2 effectively eliminates its ability to be metabolized by this enzyme. There exist two different variants of Masteron: Drostanolone Propionate, and Drostanolone Enanthate. The most popular variant is the Propionate variant, followed in popularity by the Enanthate variant. The explanation here will use Drostanolone Propionate as the example. Specifically, ‘Propionate’ is Propanoic acid, but once bound to Masteron it is properly referred to in chemistry as an ester bond (or ester linkage). Propanoic acid is bonded to the 17-beta hydroxyl group on the Drostanolone (Masteron) chemical structure. The addition of this ester modifies the hormone’s half-life and release rate, providing a much longer extended release and half-life than if the hormone was not esterified. The primary reason for the augmentation of its half-life and release rate is because once Drostanolone Propionate enters the bloodstream, enzymes in the body will break the bond between the ester and the hormone, which takes varying amounts of time (the time taken for the bonds to be broken is dependent on the size of the ester – the longer and larger it is, the longer it will take). The end result is that the ester is removed from the hormone by enzymes, and what is left is pure Masteron (or any anabolic steroid that was previously esterified) that is now free to do its work in the body. This process of enzymes cleaving off the ester from the Testosterone molecule is what is responsible for the slower release rates and extended half-lives. As a result, Drostanolone Propionate possesses a half-life of 2.5 days, and Drostanolone Enanthate possesses a half-life of 10 days. Esterification does nothing to modify the effects and characteristics of the hormone aside from augmenting the hormone’s release rates and half-lives. Because Masteron is a DHT-derivative, it retains some of the same characteristics as its parent hormone, one of which is its inability to interact with the aromatase enzyme. The aromatase enzyme is the enzyme responsible for the conversion of androgens into Estrogen, of which Masteron is invulnerable to this process. Therefore, Masteron will exhibit no Estrogenic side effects at any dose, making Masteron completely void of the following risks: water retention and bloating, elevated blood pressure (as a result of water retention), possible fat gain/retention, and gynecomastia. Individuals using Masteron will only experience lean mass gains without the addition of water weight, which would otherwise serve to create a very puffy, soft, and bloated looking physique. 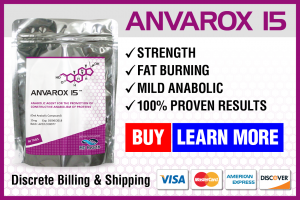 It is therefore an anabolic steroid preferred by the majority of bodybuilders and athletes as a ‘cutting’ compound considered very useful for pre-contest cycles and fat loss and cutting phases. Due to its low to moderate anabolic strength, Masteron is not regarded as being a very good mass addition or bulking compound, and in fact many experienced anabolic steroid users suggest that due to its higher price and its moderate anabolic strength, it is only of real value to competitive bodybuilders who wish to achieve a very hardened and ‘chiseled’ look to the physique once on-stage in a show. When stacked with other particular compounds, Masteron has been shown to bring out a ‘ripped’ physique to an even greater deal. However, these ‘hardening’ properties of Masteron do not exhibit themselves in the user unless he or she possesses a low enough body fat percentage to be able to allow these hardening effects to become visible. This leads to the next major property of Masteron. Masteron has been demonstrated as being a moderate aromatase inhibitor, as well as possibly acting to block Estrogen at receptor sites on breast tissue . This is the reason for Masteron’s original and primary use as an advanced breast cancer treatment drug. This is also the reason as to why Masteron has been explained by many experienced users as having a ‘hardening’ and ‘chiseling’ effect on the physique when the body is very lean (under 10% body fat). Masteron works to inhibit the aromatase enzyme, thereby eliminating the ability for estrogen to be formed from aromatizable anabolic steroids through the process of aromatization. 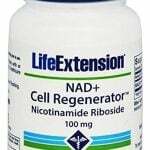 Essentially, this effectively reduces any water retention as Estrogen levels continue to decline from increasing numbers of disabled aromatase enzymes. Masteron is regarded by the bodybuilding community as being one of the ‘mild’ anabolic steroids when it comes to side effects. This is due in large part to the fact that Masteron is a DHT-derivative. Having been derived from DHT, it therefore possesses all of the same (or similar) attributes and features that DHT does. This includes the inability to interact with the aromatase enzyme, and therefore be completely void of any Estrogen-related side effects. As previously mentioned, Masteron is totally void of any estrogenic side effects by virtue of the fact that it is a DHT-derivative. 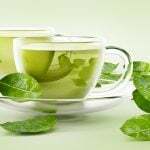 Not only does it completely avoid aromatization (conversion into Estrogen), evidence suggests that it behaves as a mild aromatase inhibitor as well. Side effects resultant of Estrogen buildup (such as water retention, bloating, fat retention and gain, and the development of gynecomastia) are completely avoided or reduced with the use of Masteron. Though Masteron holds a weaker androgenic strength rating than Testosterone itself, androgenic side effects are still indeed possible with this compound, especially among those who may be particularly sensitive. Masteron side effects that include androgenic side effects include: an increase in oily skin (as a result of increased sebum production/secretion), increased facial hair and bodily hair growth, as well as the increased risk of triggering MPB (Male Pattern Baldness) in those that are genetically sensitive or predisposed to it. Virilization (the development of male characteristics in women) is also a risk with female use, though its use in female breast cancer patients should attest to its acceptable nature as a female-use compound. Masteron side effects in particular include greater negative impacts on cholesterol and the cardiovascular system than some other compounds. This is largely due to Masteron’s anti-estrogenic capabilities in the body. 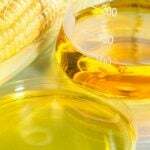 Its ability to reduce serum levels of Estrogen results in measurable reductions in HDL (‘good’) cholesterol, and increases LDL (‘bad’) cholesterol. Masteron exhibits no hepatotoxicity (liver toxicity), but like any anabolic steroid, it does contribute to suppression/shutdown of the HPTA, thereby reducing endogenous production of Testosterone. Masteron cycles tend to be quite limited in their dynamic and application. This is because of the nature of the compound being unfavorable for bulking, strength gain, and the like. Unfortunately, as a cutting or fat loss agent, there are much better anabolic steroids in existence at the disposal of the individual than Masteron. Therefore, the only particular Masteron cycles that bodybuilders tend to use involve pre-contest and cutting / fat-loss cycles. Even in cutting or fat loss cycles, Masteron is usually not a key-role compound involved. The cycle length of Masteron cycles are usually in the range of 8 – 10 weeks, mostly due to its short-ester nature. Some bodybuilders will elect to utilize Masteron only within the final 2 – 4 weeks of a cycle leading up into a show or a photoshoot, only to gain advantage of its physique enhancement abilities. This generally looks like a cycle performed for 10 weeks, with compounds such as Testosterone Propionate, Trenbolone Acetate, and Anavar being used. Towards the 6 or 8-week mark of said cycle, Masteron would be included into the mix (alongside perhaps a removal of one of the other compounds), and run right to the end of the 10th week. For more traditional Masteron cycles, its use as a fat loss / cutting compound would involve consistent use over a 8 – 10 week period alongside compounds of a similar nature, such as injectable Winstrol, Testosterone Propionate, and perhaps Trenbolone Acetate or the oral variant of Winstrol. Within the medical arena, Masteron was utilized in the treatment of female breast cancer patients. Towards this end, prescription guidelines for Masteron dosages would call for 100mg three times per week, for a grand total of 300mg/week. The duration of this treatment was recommended to be 8 weeks at a minimum. By the 8 – 12-week mark, the physician would provide an assessment of the patient and their progress, and based upon the progress and the prognosis, Masteron may be utilized indefinitely in the treatment of the cancer. It is worth noting that 300mg/week, in retrospect, is far too much for female use and was even admitted somewhat by the medical establishment due to the observation of virilization becoming a frequent issue among patients. Female athletes and bodybuilders would find 50 – 100mg per week a safe and acceptable dosage. For athletic and bodybuilding purposes for male users, Masteron dosages are in the range of 200 – 400mg per week, and the lower end of this range (200mg) is commonly utilized for pre-contest preparation and cycles. Because of the specialization of Masteron being an aesthetic physique enhancing compound, intermediate and even advanced users tend not to venture higher than the 400mg/week mark. It must be remembered that Masteron is a weak compound where the addition of strength, mass, and muscle is concerned, and there are more effective (and cheaper) compounds for this purpose. Masteron is not as popular as many other anabolic steroids, and would be considered low-moderate in popularity on the market. It is, however, a staple in any source/seller’s inventory of products for sale. Those looking to buy Masteron will find that it is quite the expensive anabolic steroid as well, and is by no means a cheap compound, even as an underground product. Pharmaceutical grade Masteron is extremely rare and almost nonexistent on the market, leaving nearly all Masteron products available for sale as underground lab (UGL) products. The only pharmaceutical grade Masteron product that technically still exists is known as Dromostan, manufactured by Xelox Company out of Mayanmar. However, this product is neither Drostanolone Propionate or Enanthate. Instead, it is Drostanolone base, an un-esterified variant of Drostanolone. To most athletes and bodybuilders, this is essentially a useless product. Although it can still be used if acquired, the lack of an ester would result in the half-life of Drostanolone to be extremely short and therefore require injections possibly at least once per day and as many as multiple times per day. Depending on the source, Masteron of underground origin will generally range from $170 – $230 for a 10ml vial that is in a concentration of 100mg/ml. Some cheaper sources may have Masteron available (in the same 10ml 100mg/ml format) in the range of $80 – $120. Once again, these are all strictly underground products, as pharmaceutical grade Masteron is pretty well nonexistent on the anabolic steroid black market. 2-Methyl and 2-hydroxymethylene-androstane derivatives. Ringols J et al. J Am Chem Soc 1959;81:427-32.